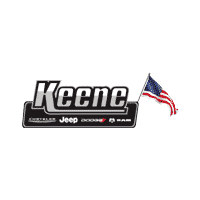 At Keene Chrysler Jeep Dodge Ram, it’s our mission to ensure that your car, truck or SUV remains in the best possible condition throughout many years! To that end, we encourage drivers to schedule routine maintenance at our Service Center in Keene, NH. Our technicians have been trained to perform major auto repairs, oil changes, tire rotations, brake adjustments, engine tune-ups and beyond! After all, you don’t want to leave your car with just any mechanic when you can rely on our automotive experts! We’ve found that regular service is simply the best way to assure your car retains its initial and long-term quality. When it comes to getting the right vehicle at the right price in Massachusetts, Vermont, or New Hampshire, there’s only one place to choose: Keene Chrysler Dodge Jeep RAM. Because of our wide selection of vehicles from multiple manufacturers, you know we’ll always have exactly what you’re looking for. Driving home in a new vehicle can be exciting, and Keene Chrysler Dodge Jeep RAM offers a large selection of new vehicles for you to choose from. No matter if you prefer something small like a compact vehicle or if you’d rather tackle the roads in a large SUV or pickup truck, we have an option for you. View our new vehicle inventory today, or find a reliable, budget-friendly pre-owned vehicle. Our used vehicles are priced to sell, and you can also rest assured that they will last you for a long time. And when you find the right vehicle, visit our finance department to secure the best lease or loan. We are a premier AEV dealer, which means you can count on us to provide you with the AEV that suits your style and taste. Not only do we have some AEVs already made for you to choose from, but we will also allow you to build your own if you so choose. Talk to our staff today about our AEV options. And when your vehicle is in need of service or repair, choose Keene’s service center. We offer a wide variety of vehicle services to help you get back on the road quickly. Plus, we always carry genuine parts so you know your vehicle will run properly every time it leave our service center. Schedule your appointment today. Keene Chrysler Dodge Jeep RAM wants to make your vehicle dreams come true. Whether you need service or assistance finding a new vehicle, our staff is ready to help you. Visit our dealership today or contact us at (603) 357-0808.